Click here to visit the most trusted and highest rated Old San Juan Puerto Rico Wedding photographer! 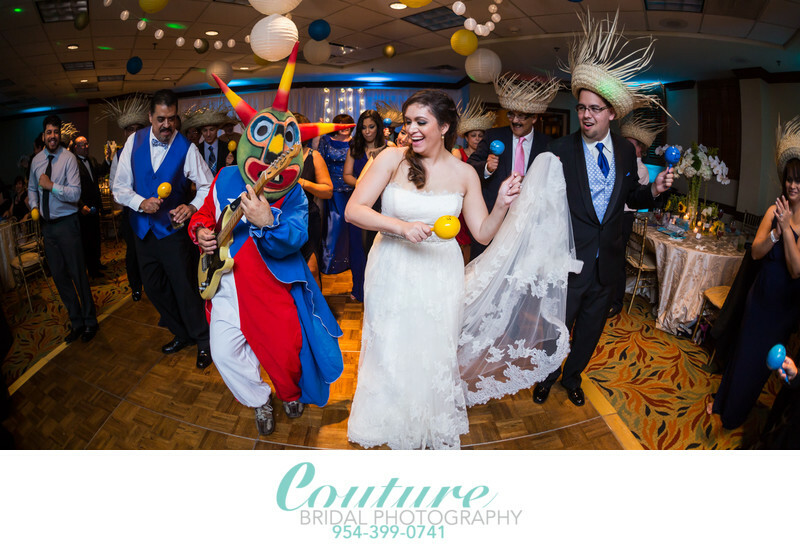 Couture Bridal Photography is the the most booked destination wedding photography studio for Puerto Rico destination weddings. We are also the top rated and preferred wedding photographers at Old San Juan's world famous hotel and wedding venue Hotel El Convento. Located across the street from the San Juan Cathedral, which is the oldest cathedral in the western hemisphere and burial place of Ponce de Leon, El Convento is the most popular and luxury destination wedding venue in Old San Juan Puerto Rico. The Hotel El Convento is a former carmelite convent dating back to 1651. It was vacated by the nuns in 1903 and left for ruin, and it was nearly destroyed in the 1950s, until the Puerto Rican tourism and cultural officials and millionaire Robert Woolworth purchased the property in 1962 and converted it into a European-style luxury hotel. In 1995, a $15 million restoration returned the hotel to its original beauty by accentuating the Spanish features of the original convent. Couture Bridal Photography was chosen as the preferred wedding photography vendor for destination weddings at El Convento for our elegant, romantic and timeless wedding photography that matches the elegance of the historic El Convento Hotel. We are also the most preferred and trusted wedding photography studio chosen by the Sheraton Old San Juan and La Concha as their first choice recommendation for couples planning weddings at their locations. We offer the best wedding photography pricing and custom packages to meet any couples needs and budgets on destination weddings throughout the Island of Puerto Rico, Vieques and Culebra. We are preferred and trusted over local wedding photographers and wedding photography studio, who are extremely expensive and frequently commit fraud against unknowing brides and grooms by not delivering images. We are a US based wedding photography studio headquartered in Fort Lauderdale, which gives brides and grooms options and recourse if they aren't satisfied or have any issues. We are a full service boutique luxury wedding photography studio recognized internationally as the best choice for wedding photography coverage throughout Puerto Rico for our fine art documentary wedding photography with a fashion forward flair. We are typically booked 12-18 months in advance of a wedding day due to our popularity and the amazing wedding photography experience we provide brides and grooms from the first consultation. Call and book us now for the best availability and additional savings for booking us early in the upcoming year. Call Couture Bridal Photography for the best El Convento Old San Juan wedding photographer at your Puerto Rico destination wedding now! Location: 100 Calle del Cristo San Juan, PR 00901. Keywords: Destination Wedding (27), Old San Juan (12), Puerto Rico (39), San Juan (33), Sheraton Old San Juan (9), Wedding reception (12). 1/125; f/2.8; ISO 800; 15.0 mm.